Oh, how the mighty have fallen. The intense El Niño we saw this winter captured the imaginations of headline writers around the world for more than a year, earning the outlandish moniker “Godzilla El Niño” to convey to an entertainment-thirsty public just how unusually strong the phenomenon had gotten. The event will soon be a memory as it’s quickly fading away, likely to be replaced by the opposite anomaly—a La Niña—in the coming months. The U.S. Climate Prediction Center released its monthly report on May 12 signaling that El Niño’s end is nigh and La Niña won’t be far behind. Since we call this unusually warm water “the little boy” in Spanish (named in honor of the baby Jesus, as it was discovered around Christmas), we call unusually cold water in this part of the Pacific Ocean “the little girl,” or La Niña. 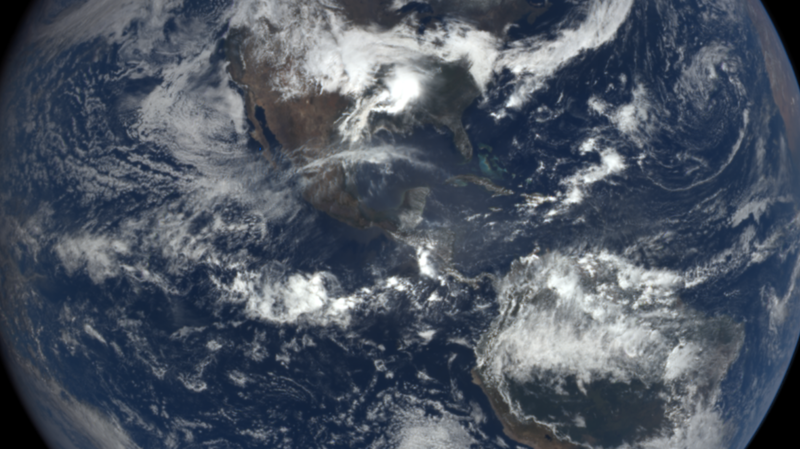 An El Niño is simply the presence of warmer-than-normal water in the eastern Pacific Ocean. It’s not a storm that crashes ashore or something that’s out for blood. Scientists officially classify the event an El Niño when the surface waters of the eastern Pacific Ocean around the equator grow abnormally warm for a long period of time, clocking in at 0.5°C above average for seven straight months. It’s hard to believe that such a tiny uptick in water temperatures can have a dramatic effect around the world, but like a fever in the human body, even that minuscule change in temperature can significantly alter weather patterns over the Pacific Ocean, creating a ripple effect that travels around the world. We’re familiar with El Niño in the United States as it has historically helped flooding rains drench places like California during the winter months, but as still-parched Californians found out this year, each event is different, and not all of them affect the weather as we would expect. There’s always a chance that this La Niña doesn’t come to pass as predicted—long-range forecasts like this are still relatively new, so the predictions aren’t exactly foolproof. The experts note, however, that most major models show a very fast transition to a La Niña over the next couple of months, and their report this week put the odds of La Niña conditions existing by autumn at 75 percent. The conditions used to measure a La Niña event are exactly the same as those used to measure an El Niño, just reversed: We have to measure water that’s 0.5°C colder than normal for seven consecutive months. Like its toasty counterpart, La Niña can have a big effect on global weather patterns depending on its strength and how long it lasts. While it can help bring warm and rainy conditions to parts of Australia and southeast Asia, La Niña doesn’t normally have a noticeable effect on summer weather in the United States. The most significant impact a La Niña can have on the U.S. during the summer and fall months is by way of an active hurricane season in the Atlantic Ocean. The warm waters of an El Niño create thunderstorm activity that vents large amounts of air northeast into the Atlantic, ripping apart thunderstorms that may have otherwise become tropical cyclones. When a La Niña is present, though, the cold water kills most thunderstorm activity in the eastern Pacific, spreading little to no wind shear over the Atlantic. This makes conditions more favorable for hurricanes to develop and possibly grow quite strong. If the expected La Niña continues through the winter, past events tell us that it could bring warmer temperatures to the southern U.S. and above-average precipitation to northern sections of the country.